World of Warcraft: Cataclysm is upon us! This is a bit late but great news for World of Warcraft lovers! World of Warcraft: Cataclysm was already officially released last December 7, 2010. A digital format of the expansion is already available to download (for sale of course) from WoW’s Cataclysm site. Deathwing has spent that time healing himself, and plotting his fiery return from the elemental plane of Deepholm. His return tears through the dimensional barrier within Azeroth, causing a sweeping cataclysm that reshapes much of the world’s surface. In the midst of the world-wide disaster comes renewed conflict between the Alliance and the Horde, which is now under the rule of Garrosh Hellscream. In the wake of the cataclysm, many changes have happened, both externally and internally. With the wake of the cataclysm, the Horde’s (former) leader, the orc shaman, Thrall, has stepped down from his duty as Warchief of the Horde, to better help the world of Azeroth as a whole, and has relinquished the duty to his advisor, the Mag’har orc warrior, Garrosh Hellscream, which itself has brought some of its own problems, within the Horde and without. In the face of Garrosh’s aggression, the human king, and leader of the Alliance, King Varian Wrynn, has backed himself with his own strengths, storming the Southern Barrens after the cataclysm had struck, and sacking a village of Tauren, and making a base of operations in the northernmost foothills to cut off contact with the Southern Barrens’ neighbouring province, the Stonetalon Mountains. 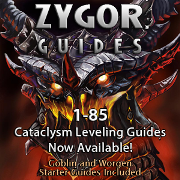 You can try Zygor Guides 3 here. Play WoW: Cataclysm with SteelSeries Shift World of Warcraft Cataclysm Keyset 68075. The SteelSeries Shift World of Warcraft®: Cataclysm™ Edition Keyset presents gamers with predefined game mods and an intuitive layout of the most common commands, actions and emotes. The Keyset helps groups run more smoothly through its ability to mark targets for added group and raid functionality. The SteelSeries Shift Keyset provides new functionality that reflects changes that have come over the game since the last expansion. 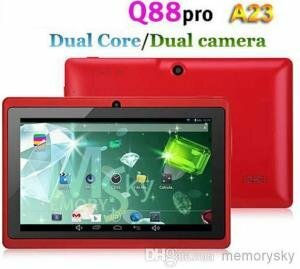 Its labeled and color coded keys, together with the World of Warcraft: Cataclysm artwork and functionality, will immerse players into the world of Azeroth and help to accelerate game mastery. Kingston SSD Crazy Promotion – Buy a Kingston SSD, get a 8GB USB for FREE!